Barrow and Gibbons were born in the West Country and coincidentally both had parents who divorced. Adrian Utley, the oldest member, hails from Northampton and he brought along a love of vintage guitars and effects, jazz training and the bouncy grooves of hip-hop. A mutual love for drum loops, sampled breaks, James Brown and Blue Note golden era sounds became the background over which Gibbons’ husky contralto conjured up visions of smoky jazz lounges. Then again one detects layers of ska and swing and the riff from Isaac Hayes’ “Ike’s Rap 11” on the monumental “Glory Box”. In that sense Portishead are comparable to the best French house scene makers, always prone to locate the funk button. “Sour Times” samples Lalo Schifrin’s “The Danube Incident”, “Wandering Star” beds in War’s “Magic Mountain” and “Biscuit”, weirdest of all, goes to the root of Johnny Ray’s “I’ll Never Fall in Love Again”. The sensuous cabaret mood is everywhere on Dummy and it remains a highpoint of 1994 while the singles “Numb”, “Sour Times” and “Glory Box” are classics in any genre. The Portishead album showed that brilliant start to be no flash in the pan. The singles “All Mine”, “Over” and “Only You” graced the airwaves with additional horns, Clive Deamer’s click drumming, extra violin, and keyboards simmering perfectly. The outstanding opening track “Cowboys” is one of Gibbons’ most intriguing lyrics: ‘Did you feed us tales of deceit/ Conceal the tongues who need to speak/ Subtle lies and a soiled coin/ The truth is sold, the deal is done….’ Spooky in the extreme, this could be music made by androids. 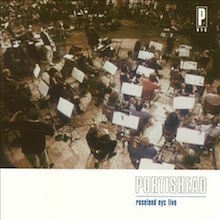 With extra attention to sonic detail and smart cinematic videos to backdrop their tunes Portishead’s scratch deck approach translated well in America where they played an epic concert at the Roseland in 1997 accompanied by the New York Philharmonic Orchestra and a five-piece horn ensemble. Go Beat released a DVD of that event in 2002 and it’s one of the most stupendous things you will witness. 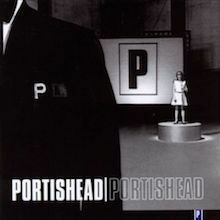 After three years of touring and various external issues Barrow put Portishead on hold because he’d grown disillusioned with music in general. In 2002 Gibbons made her solo debut with former Talk Talk bassist Paul Webb using the pseudonym Rustin Man. Out of Season was a quiet success but is an essential purchase for her fans and it also went silver. Meanwhile Barrow and Utley remained locked in their studios but emerged to produce The Coral’s’ psychedelic gem The Invisible Invasion and enthused by the young Merseysiders energy decided to reactive their own band. Third eventually dropped in Spring 2008. Using a battery of analog synths, ancient drum machine FX and even a hurdy-gurdy on “Magic Doors” which would be cleverly remixed later by DJ Green Lantern, the songs are perfectly Portisheadian. Other key tracks are “The Rip”, something Radiohead covered, and the pulsating “Machine Gun”, a number that became huge on the hip-hop and club circuit and would have had Portishead feted as superstars in America, had they been the types to do the social whirl. Given that Third has attained top ten placing’s in 18 territories it’s apparent that the band remain in demand though they haven’t released anything officially since 2009’s “Chase the Tear”, a fundraiser for Amnesty International UK. They have enjoyed playing the festival circuit this summer (2015) and were rapturously received at Latitude and Benicassim where their set included “Mysterons”, the crowd slaying “Sour Times” and “We Carry On”. Barrow has promised new music is bubbling away but no dates are specified. Don’t worry though because it will be worth the wait. With Portishead it always is. Portishead's album debut is a brilliant, surprisingly natural synthesis of claustrophobic spy soundtracks, dark breakbeats inspired by frontman Geoff Barrow's love of hip-hop, and a vocalist (Beth Gibbons) in the classic confessional singer/songwriter mold. Beginning with the otherworldly theremin and martial beats of "Mysterons," Dummy hits an early high with "Sour Times," a post-modern torch song driven by a Lalo Schifrin sample. The chilling atmospheres conjured by Adrian Utley's excellent guitar work and Barrow's turntables and keyboards prove the perfect foil for Gibbons, who balances sultriness and melancholia in equal measure. Occasionally reminiscent of a torchier version of Sade, Gibbons provides a clear focus for these songs, with Barrow and company behind her laying down one of the best full-length productions ever heard in the dance world. Where previous acts like Massive Attack had attracted dance heads in the main, Portishead crossed over to an American, alternative audience, connecting with the legion of angst-ridden indie fans as well. Better than any album before it, Dummy merged the pinpoint-precise productions of the dance world with pop hallmarks like great songwriting and excellent vocal performances. 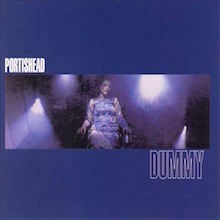 Portishead's debut album, Dummy, popularized trip-hop, making its slow, narcotic rhythms, hypnotic samples, and film noir production commonplace among sophisticated, self-consciously "mature" pop fans. The group recoiled from such widespread acclaim and influence, taking three years to deliver its eponymous second album. On the surface, Portishead isn't all that dissimilar from Dummy, but its haunting, foreboding sonic textures make it clear that the group isn't interested in the crossover success of such fellow travelers as Sneaker Pimps. Upon repeated plays, the subtle differences between the two albums become clear. Geoff Barrow and Adrian Utley recorded original music that they later sampled for the backing tracks on the album, giving the record a hazy, dreamlike quality that shares many of the same signatures of Dummy, but is darker and more adventurous. Beth Gibbons has taken the opportunity to play up her tortured diva role to the hilt, emoting wildly over the tracks. Her voice is electronically phased on most of the tracks, adding layers to the claustrophobic menace of the music. The sonics on Portishead would make it an impressive follow-up, but what seals its success is the remarkable songwriting. Throughout the album, the group crafts impeccable modern-day torch songs, from the frightening, repetitive "Cowboys" to the horn-punctuated "All Mine," which justify the detailed, engrossing production. The end result is an album that reveals more with each listen and becomes more captivating and haunting each time it's played. Mystery burns at the heart of Portishead, lurking deep within their music and their very image. From the outset they seemed like an apparition, as if their elegant debut, Dummy, simply materialized out of the ether in 1994, as their stately blend of looped rhythms, '60s soundtrack samples, and doomed chanteuse vocals had only a tenuous connection to such Bristol compatriots as Massive Attack and Tricky. 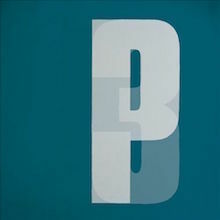 Soon enough, Portishead's unique sound was exploited by others, heard in swank clubs and high-end dinner parties on both sides of the Atlantic, a development that the trio of Geoff Barrow, Beth Gibbons, and Adrian Utley bristled at instinctively, recoiling into the darker corners of their sound on their eponymous 1997 sophomore album before fading back into the ether leaving no indication when they were coming back, if ever. They returned 11 years later, seemingly suddenly, with Third, supporting the album with candid interviews that lifted the veil from their personality, yet the mystery remained deeper than ever within their gorgeous, unsettling music. That strain of uneasiness is a new wrinkle within Portishead, as in the '90s they favored a warm, enveloping melancholy, a rich sound that could be co-opted and turned into simple fashion, as it was by band after band in the heyday of the swinging '90s. So many groups grabbed ahold of Portishead's coattails that it's easy to forget that in 1994 there was no other band that sounded quite like Portishead -- not even Massive Attack and Tricky, who shared many surface sounds but not a sensibility -- and that is just as true in 2008, years after trip-hop has turned into history. Their cold, stark uniqueness isn't due to a continuing reliance on the cinematic textures of Dummy, although there are echoes of that here on the slow-crawling album openers "Silence" and "Hunter," songs just familiar enough to act as reminders of how Portishead are special, yet just different enough to serve notice that the trio is engaged with the present, even if they've happily turned into isolated recluses, working at a pace utterly divorced from the clattering nonsense of the digital world. Third is resolutely not an album to be sampled in 30-second bites or to be heard on shuffle; a quick scan through the tracks will not give a sense of what it's all about. It demands attention, requiring effort on the part of the listener, as this defies any conventions on what constitutes art pop apart from one key tenet, one that is often attempted yet rarely achieved: it offers music that is genuinely, startlingly original. Surprises are inextricably intertwined throughout Portishead. There are jarring juxtapositions and transitions, as how the barbershop doo wop of "Deep Water" sits between those twin towers of tension of "We Carry On" and "Machine Gun," the former riding an unbearably relentless two-chord drone while the latter collapses on the backs of warring drum machines. Echoes of Krautrock and electronica can be heard on these two tracks, but that very description suggests that Third is conventionally experimental, spitting out the same hipster references that have been recycled since 1994, if not longer. These influences are surely present, but they're deployed unexpectedly, as are such Portishead signatures as tremulous string samples and Utley's trembling guitar. Out of these familiar fragments from the past, Portishead have created authentically new music that defies almost every convention in its writing and arrangement. As thrilling as it is to hear the past and present collide when "Plastic" is torn asunder by cascading waves of noise, Third doesn't linger in these clattering corners, as such cacophony is countered by the crawling jazz of "Hunter" and the sad, delicate folk of "The Rip," but a marvelous thing about the album is that there's no balance. There is a flow, but Portishead purposely keep things unsettled, to the extent that the tonal shifts still surprise after several listens. Such messiness is crucial to Portishead, as there's nothing tidy about the group or its music. Experimental rock is often derided as being cerebral -- and this is surely enjoyable on that level, for as many times as Third can be heard it offers no answers, only questions, questions that grow more fascinating each time they're asked -- but what sets Portishead apart is that they make thrillingly human music. That's not solely due to Gibbons' haunting voice, which may offer an entryway into this gloom but not its only glimpse of soul, as the perfectionism of Barrow and Utley have resulted in an album where nothing sounds canned or processed, the opposite of any modern record where every sound is tweaked so it sounds unnatural. Third feels more modern than any of those computer-corrected tracks as the group's very sensibility mirrors the 21st century, where the past is always present. Then, of course, there's that rich, fathomless darkness that Third offers, something that mirrors the troubled days of the new century but is also true to that shimmering, seductive melancholy of Dummy. Here, the sad sounds aren't quite so soothing, but that human element of Portishead gives them a sense of comfort, just as it intensifies their sense of mystery, for it is the flaws -- often quite intentional -- that give this an unknowable soul and make Third utterly riveting and endlessly absorbing.